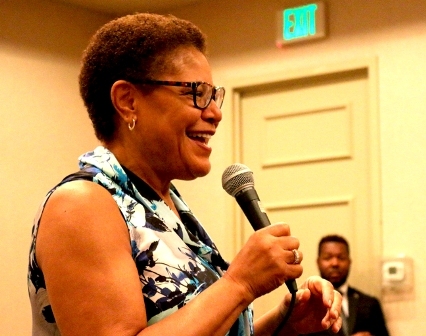 On Saturday, July 29, Rep. Karen Bass (D-Calif.) hosted the 6th Annual South Los Angeles Faith Leaders’ Breakfast for a frank conversation about the Trump administration’s agenda and the effects that its policies may have on the South Los Angeles institutions, community, and families. 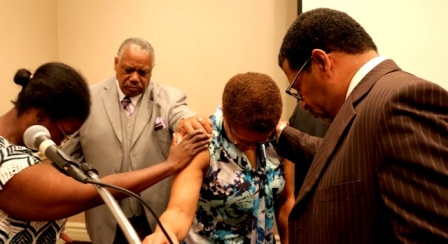 “I’m inspired by the continual engagement and initiative displayed by community faith leaders throughout this new Trump-era,” Rep. Bass said. “Despite registering no major legislative victories, the President has managed to have an overwhelmingly negative impact on the Black community, whether it’s having to do with criminal justice reform, education, economic development, immigration, environmental justice – the list goes on.